Larssen is a new voice to be reckoned with (although if you follow his blog, https://www.bjornlarssen.com/ you'll know he's been writing great essays for years). His prose paints a detailed picture. You can clearly see the people he speaks of, feel the bitter cold in the air, mourn the losses as your own. Being a modern female in America, I shouldn't know what it's like to be a desperate, poor, cold Icelander in the winter of 1920 (and earlier). But I do, thanks to this writer's ability to weave a rich tapestry of plots, characters and ideas together. I look forward to other great works this author has to tell. 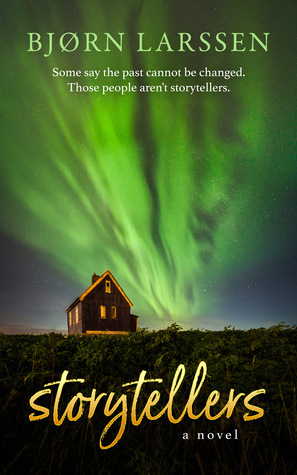 Sign into Goodreads to see if any of your friends have read Storytellers.